With the emergence of wonderful audio apps such as Audioboo, it has become a challenge to record outdoors without the rumbling from wind hitting the microphone. If you get some nice fluffy textile (see my note DIY Wind-jammer for Zoom H1), you can use a similar, but even simpler approach. 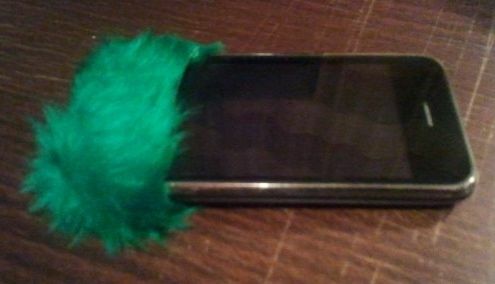 Cut a piece of the fluffy textile about 2 centimeters wider than your phone and about twice the length of the “base” of the phone. 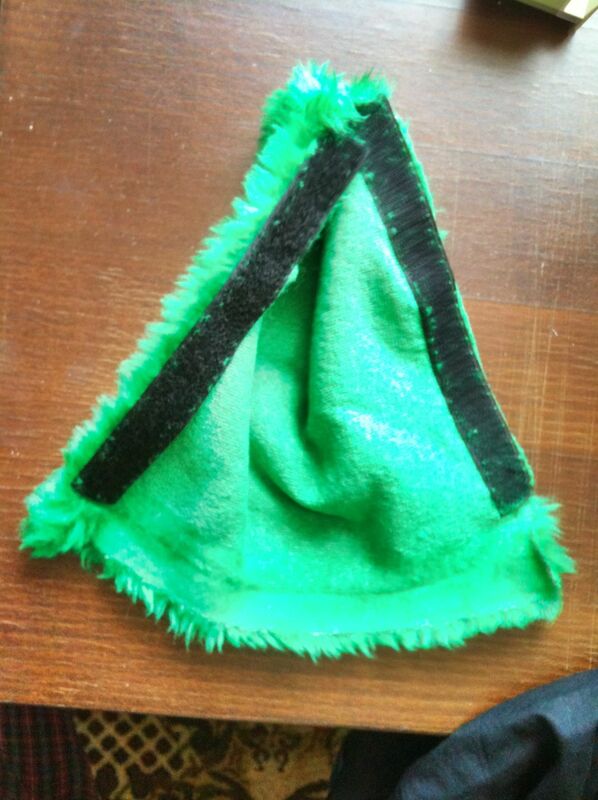 Fold the textile with the fluffy side in and sew/stitch along the short sides. Put it on your phone and record. For casual professional recording of everyday sounds, ranging from nature to interviews, the Zoom H1 is a very convenient and inexpensive device. With outdoor recording, wind is almost always present in places like Ireland. 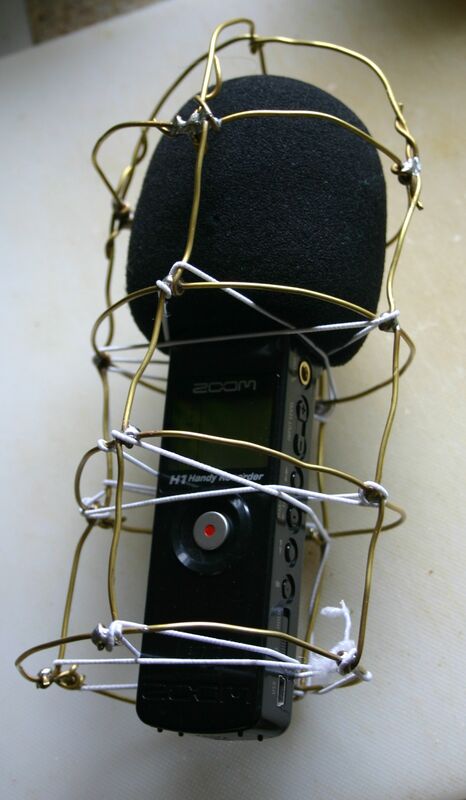 If you use a H1 as it is, your recordings will rumble with every puff of wind and destroy your recording. To remedy this, I initially bought a simple foam windshield and this was sufficient on calm days. But for the normal gusts of westerly winds we get in Ireland, the design had to be improved. 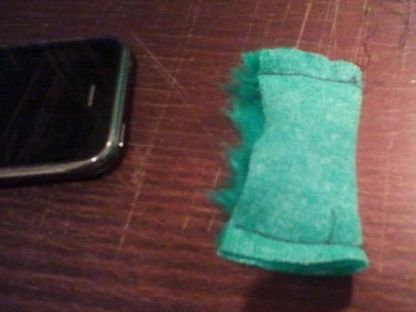 Rycote are making Mini Windjammers that cost around £STG25. 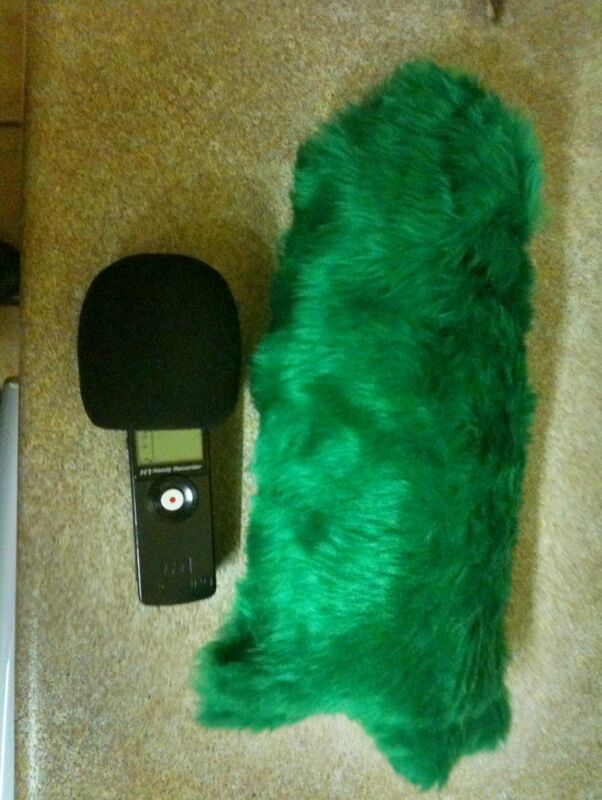 As I know how windjammers work, I found the cost excessive and the Rycote design perhaps not the optimal solution. 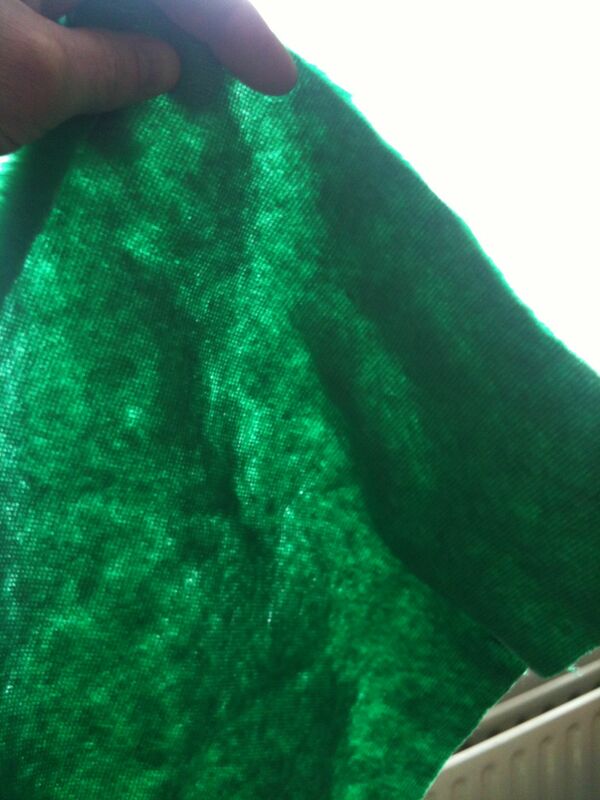 I bought some nice fluffy/hairy textile in a local shop (Hickey’s). The criteria for the material was that the base material should be as transparent as possible and the outer coating as hairy as possible. 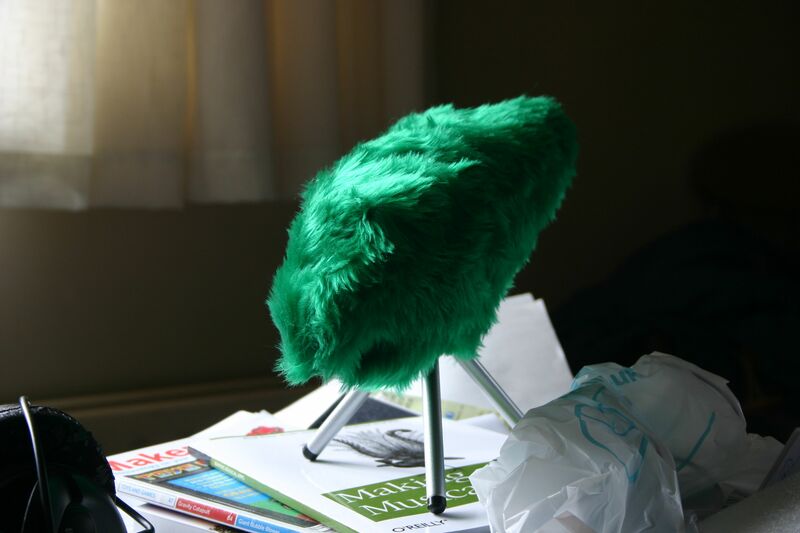 As this was shortly after St Patrick’s day, I bought 2 meters of a green fluffy material for 5 euro (which is enough for perhaps 20 windjammers). 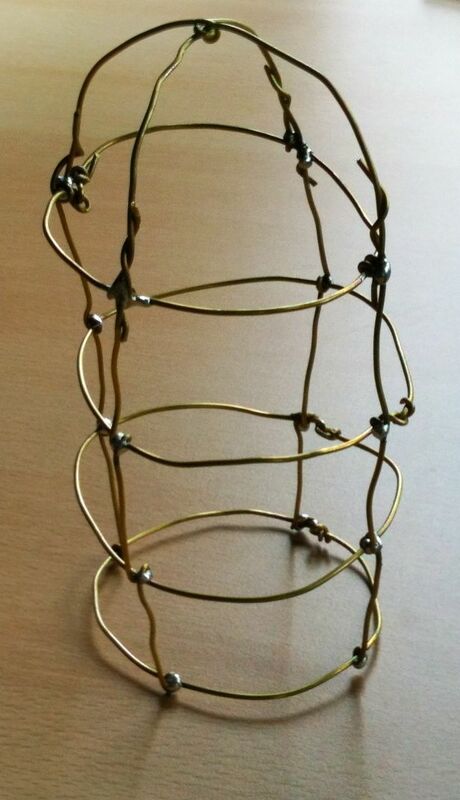 Next, I made a small cage from brass-wire, to contain the H1. You can use any kind of semi-rigid wire for this. After shaping the wire-cage, I folded some fluffy textile around it with the inside out and marked where to cut the textile. I sewed the front of the textile in a curve to fit the front of the wire-cage, and along the bottom I stitched on some Velcro, which makes it easy to put the textile on on the cage and to get, for example, a headphone cable through. Finally, I used some elastic band to hang the Zoom H1 in the cage, to prevent handling noise and other unwanted vibrations to be picked up, and inserted the cage with the H1 into the green fluffy tube. Zip up the Velcro and you’re ready for recording.